October was quite a quiet month, not much happening, although I did one event - a talk to the Montrose Probus Club. 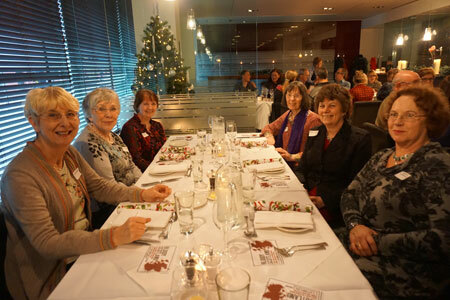 It was an all male club, but the men were delightful and it was nice to know that some of them had read my books. I do like talking at these events, it lets me escape from my study and gives me a chance to meet my readers. The rest of the month was spent reading up about solar panels and seeking estimates. I do like to know as much as possible about anything I want to install, whether that is computer software, or something more technical like solar energy. So, all geared up on what to expect, the solar panel installers were swarming over my roof at the beginning of November. We'd had beautiful sunshine up until that day, and indeed on the first day of the installation the sun was glorious. On day two of the installation the sun vanished, to be replaced by the thickest fog I'd seen for a long time, and it's been dull weather ever since. I think that's what is called Sods Law! Putting the panels up didn't cause me any disruption apart from the internal electrical work. I hate upheavals. And by the middle of that week my solar panels were up and running. The biggest grief I had over the whole procedure was applying to be put on the FITS (Feed-In Tariff) Register because, apparently, the energy suppliers pay you for some of the electricity you generate. That was nice to know, but filling in the forms was a pain in the neck. Plus when I checked to see if the forms I'd posted had arrived they couldn't be traced. So I applied again, by email this time. I wish I'd done that in the beginning. That started a series of emails flipping back and forth requesting this, that and the other. But eventually it was all done and dusted. Thank goodness for that. What else happened in November? Well, there was another Society of Authors Committee meeting. It went well, except for the fact that a train had derailed just outside Dundee which knocked my travel arrangements into a cocked hat. I had to get myself to Dundee by bus to pick up a train to Edinburgh from there, and it was the same on the way back. So, what should have been a seven hour time away from home turned into twelve hours before I staggered into my house again. I also did my first craft fair in November. A fellow author had asked if I would like to take a table at the fair, and of course, I said yes. It was a great experience. 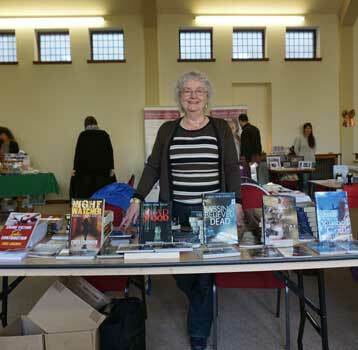 I met lots of nice people and sold quite a few books into the bargain. I sometimes think I should be more pushy in my marketing and promotion, but it's not in my nature, and I doubt if I would have been involved in this fair if it hadn't been for my fellow author. But I did enjoy the experience. 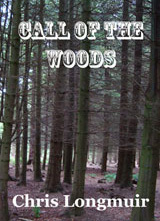 As for my new book, the work in progress, well, it's coming along and I think I'm close to finishing my first draft. But a first draft still needs a lot of work and I wouldn't want to publish the book until it is as good as I can possibly make it. So, be patient, once the story is in place it's a dead cert it will reach publication. I just have to knuckle down to the revisions and polishing. I wonder what December has in store for me? Unlike the last two months, September has been busy for me. 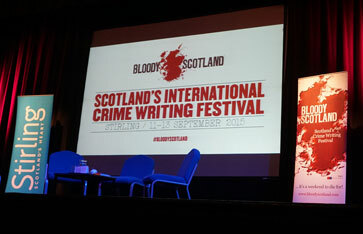 The month had hardly started before I was sitting on a train, heading for Stirling, and the annual Bloody Scotland festival which celebrates crime writing. This festival just gets better year after year, and I reckon it gives the Harrogate Crime Writing Festival a run for its money. This year I was acompanied by my 13 year old granddaughter, and she had a ball. She enjoyed it so much she wants me to book her in for it again next year. I've done a blog post on it, and if you want to check it out just click on the link at the side of this page. I hardly had time to draw breath before I was off on a reading tour of Dundee, accompanying an American tour group and giving readings at various sites which I use in my books, including the Howff Cemetery, Verdant Works, Camperdown Zoo, and Templeton Woods. They were really interested in how to throw a live and kicking body over the electrified fence into the bearpen at the zoo. I'll be blogging about it on Authors Electric on the 19th October. We had a wonderful day and I made new friends. The next day I accompanied the group to Auchmithie, a small fishing village 3 miles north of Arbroath. We had lunch at the celebrated But n' Ben restaurant followed by a historical re-enactment by the villagers. 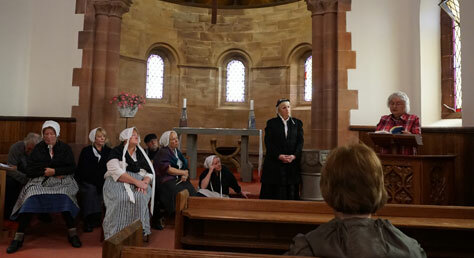 I gave readings from A Salt Splashed Cradle, in the restaurant and in the church where the re-enactment took place. And I'll be blogging about this visit on Authors Electric on 19th November. If you've never visited the Authors Electric blog site then it's time you did. There's a new blog post every day written by one of the 29 members, plus a few guest ones. The blog is well worth a visit. 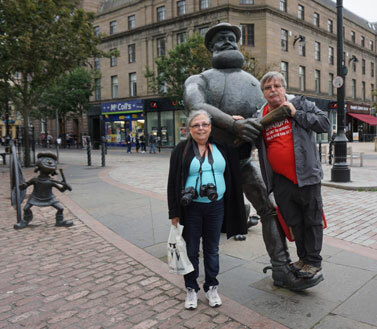 Later that same week I met my Canadian friends Don and Melanie Robertson-King in Dundee. It was great meeting up with them again on their tour of Scotland, and we tried to fit in as many of the sights of Dundee as we could. 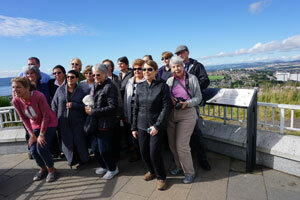 Melanie has blogged about our day in Dundee, you can find it on her blog site Celtic Connexions. Now, all I need to do is wait and see what October has in store for me.